All PSAPs know they need to migrate to a Next Generation 9-1-1 emergency call handling and management system at some point. Soon, it will be mandatory. To ensure they maximize the value of their investment when upgrading to a next-gen solution, PSAPs must understand how emergency communications and technologies are changing, and what this means. Armed with this knowledge, PSAPs are in a much better position to choose an NG9-1-1 system that supports their organization and today's unique requirements. 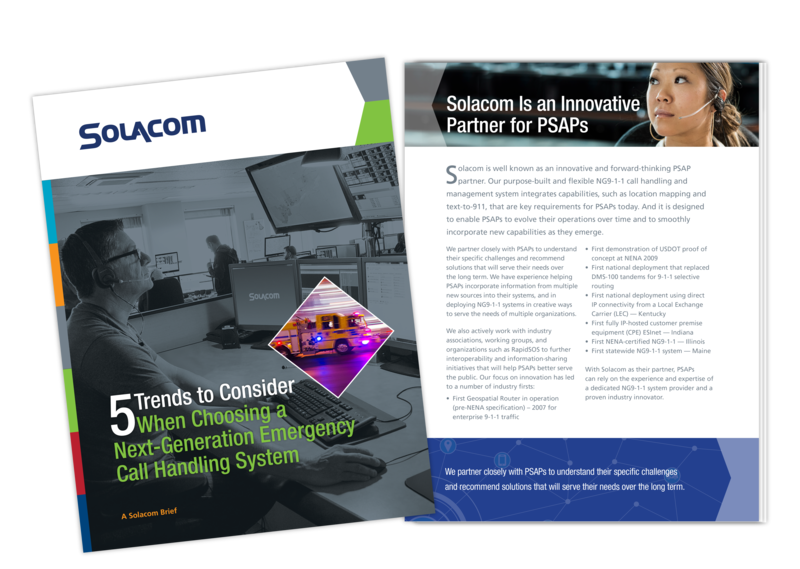 Download the information brief to learn the 5 most important trends to consider when choosing a next-generation emergency call handling system that works best for today and tomorrow.